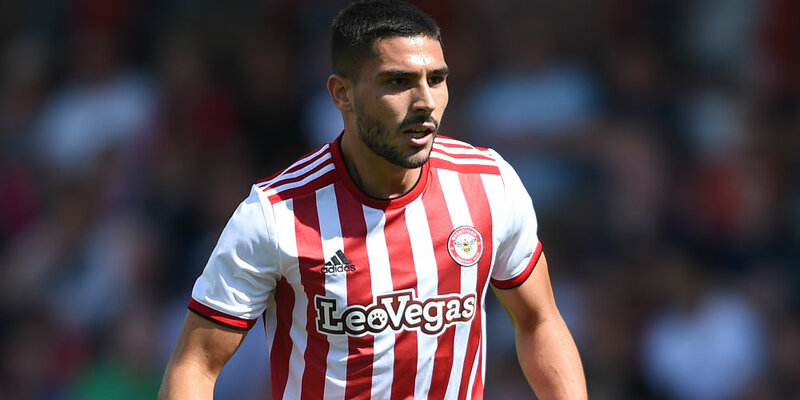 Neal Maupay’s injury-time goal gave Brentford a dramatic victory on Dean Smith’s return to Griffin Park. Smith, who quit as Bees boss to take over at Aston Villa in October, saw his former side dominate before getting the winner they deserved. It came when Maupay collected Said Benrahma’s pass and skipped away from Tommy Elphick before firing past keeper Lovre Kalinic into the top corner. The goal was striker Maupay’s 21st of the season and the victory continued Brentford’s fine run. Since a disastrous start for Smith’s replacement Thomas Frank, the Dane’s side have lost just one of their last 12 matches and Maupay’s strike lifted them to 15th in the Championship table. Smith’s Villa team, on the other hand, are struggling – they have now just one just twice in 12 games. They were second best against the Bees, who went close through Sergi Canos early on and had a strong appeal for a penalty ignored after Maupay was brought down by Kalinlic. Moses Odubajo, Benrahma and Maupay all went close for Brentford in the second half before the deadlock was eventually broken. Brentford: Bentley, Odubajo, Jeanvier, Konsa, Barbet, Mokotjo, Sawyers, Benrahma (90), Canos (Field 83), Watkins, Maupay. Subs not used: Daniels, McEachran, Dasilva, Forss, Sorensen.